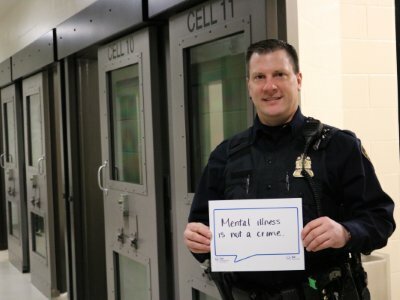 The Saskatoon Police Service acknowledges the need for enhanced involvement with community groups and agencies to better assist people suffering from mental illness and substance abuse. There is growing pressure on our front-line resources as we attempt to respond adequately to an increasing number of people who require support. In many cases, the police are the first contact with people experiencing crisis. To assist people experiencing mental health problems or crisis, the Saskatoon Police Service has partnered with the Saskatoon Crisis Intervention Service and the Saskatoon Health Region’s Mental Health and Addiction Services, to create the Police and Crisis Team (PACT). The PACT units pair a police officer with a mental health professional to help direct individuals with mental health issues to appropriate services. They serve individuals who are experiencing mental illness and/ or addiction issues and provide real-time response to real-time crisis. The team shares resources and information, thereby improving public and personal safety through collaborative and effective crisis intervention. Additional benefits of the partnership include a reduced number of arrests for disturbances due to a psychosocial crisis, a decrease in the volume and length of avoidable mental health emergency-room visits, stabilization of PACT recipients in the community, and successful crisis resolution by triaging services to appropriate caregivers. Finally, follow-ups are often conducted to ensure the client is no longer experiencing a mental health crisis.